Looking for a new TV? You may not really need one. Smart TVs are increasingly popular, and often new TVs in showrooms and online come with smart capabilities. But if you’re looking for a smart TV purely for the functional enhancements, there’s a very good chance that you could be duplicating features you already have in your media set up or ones you could easily get with a more affordable device. First, however, let’s take a look at what smart TVs really bring to watching television. With internet connectivity (typically Wi-Fi, although some come with Ethernet), these devices are capable of streaming video from popular online services such as YouTube and Vimeo, along with subscription video streaming from Amazon Instant Video, Netflix, Hulu, and more. Some smart TVs offer a browser and social media apps, while having weather and news updates tailored for your particular location is also an option. Games are also found on smart TVs, along with support for USB storage so that you can watch your own videos and photos from a portable hard drive. It shouldn’t surprise you that all of these features will set you back a few hundred dollars. It’s possible to buy a new TV without the “smart” element, and you may well want a new TV to take advantage of new LED technology. But if you’re thinking about upgrading to a smart TV simply for apps, you really need to think again. As we’ll see in a moment, apps are everywhere, and you don’t need a smart TV to get access to them. What Do Smart TVs Cost? Because they’ve been around for a few years, the cost of smart TVs has come down, but they’re still not cheap, especially compared to the other options we’ll discuss. For example, this Vizio 40″ smart LED TV from last year is still over $300. Samsung’s 2015 43″ smart LED TV is over $400, and going bigger than that starts to get near the $500 range. Of course, the price depends a lot on the size of the TV, the resolution it’s capable of displaying, and the number of features that it comes with. But as you can see from the prices of some of last year’s TVs, even a basic model will likely run you at least a couple hundred bucks. Three of the most popular media devices — Amazon Fire TV, Google Chromecast, and Apple TV — can be used to add apps to your TV viewing experience. Amazon Fire TV comes in stick ($39.99) and box ($84.99) variants, both of which connect to the HDMI port on your TV. It has its own remote, and offers the most complete experience of the three, offering Amazon Instant Video and Netflix on the same device, as well as PLEX and various local catch-up TV services. Amazon offers as many apps as possible, as they don’t want you to rely on a mobile device to stream something to the player (which is possible via PLEX 20 Unofficial Plex Channels You Should Install Right Now 20 Unofficial Plex Channels You Should Install Right Now With the Unsupported AppStore, you can unlock new Plex content to watch. Here are the best unofficial Plex channels to install. Read More ) unless it’s necessary. Apple TV ($149–$199) comes with Netflix and Amazon Instant Video, along with Hulu and several other subscription services. All you need to do is switch to the corresponding HDMI channel on your existing TV and start watching! Better still, if you want to watch content via Apple TV and there is no app for it, you can simply use an iOS mobile app or your Mac and stream it to Apple TV with AirPlay. Our guide to the Apple TV Still Unsure If You Need an Apple TV? Here’s What It Can Do Still Unsure If You Need an Apple TV? Here’s What It Can Do On the fence about what seems like yet another expensive Apple purchase? Check out what you can do with an Apple TV and decide for yourself. Read More explains this in more detail. Meanwhile, if you have a Google Chromecast ($35), you’ll get current weather information when you switch your TV to the Chromecast’s HDMI channel. And you can stream directly from apps on your Chromecast-connected Android device to your TV. No matter which device you choose to add apps and streaming capabilities to your TV, you’ll save quite a bit over the cost of a smart TV without losing much, or any, of the functionality. It’s up to you to decide which one is best Apple TV vs. Chromecast: Which Streaming Solution Is Right For You? Apple TV vs. Chromecast: Which Streaming Solution Is Right For You? You know you want either an Apple TV or a Chromecast. The problem is, you're not sure which… Read More . Whether you have satellite, cable, or digital terrestrial TV, you’ll need a decoder box. While many new TVs come with digital terrestrial decoders built in, this isn’t the case with cable and satellite. You’re going to need a set-top box from your provider to watch TV this way, and many set-top boxes come with a few extras. Yours might already have smart capabilities, such as catch-up TV services, or even the ability to add apps. 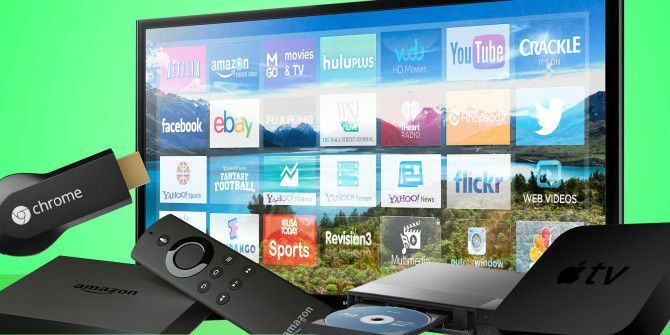 Again, Netflix, Amazon Instant Video, and Hulu are common on these devices, as is YouTube, and with DVR capability your set-top box is perfect for giving you the complete on-demand experience. If your current set-top box doesn’t give you the options you want, you might be able to upgrade. Just ask your cable or satellite provider and see if they’ll send you one that gives you some smart TV functionality. You might even be able to talk them into giving you one for free! Another common home entertainment device is the DVD or Blu-ray player. In the case of Blu-ray players in particular, prices of these devices has come down so far in the past few years that the inclusion of network connectivity (for streaming content from other devices) and apps (all the usual suspects!) gives manufacturers and retailers the opportunity to keep the prices up. Even so, they’re still significantly cheaper than a new TV. For example, the #1 seller on Amazon for Blu-ray players is the Sony BDPS3700, which you can pick up for $80. You get a Wi-Fi connection, screencast mirroring, the ability to control the Blu-ray player with your mobile device, and HD audio. If you’re thinking about upgrading to a smart TV, you could save a lot and not miss out on much at all with this player. Having a choice between Netflix, YouTube, and the latest Star Wars Blu-ray disc is a nice way to spend your TV-watching leisure time. Note also that optical media players often come with USB ports for viewing content saved to a portable HDD or thumb drive. Games Consoles Have Apps Too! If you’re a gamer, you probably know already that your console has the facility to install and run dedicated media streaming apps. Current-generation devices, like the Xbox One and PlayStation 4, all have suitable apps available, as do last-gen devices, including the Nintendo Wii U, Xbox 360, PlayStation 3, and the Nintendo Wii (which can even be reconfigured as a media player How to Turn Your Wii Into a Media Center With WiiMC How to Turn Your Wii Into a Media Center With WiiMC Turn your neglected Wii into a media player. Listen to music and watch videos from your computer on your TV, or browse a bit of the best the web has to offer using your Wiimote.... Read More ). To install apps, you’ll need to have set up a user account for the console (not necessary for general use of a last-gen console, but generally required on the Xbox One and PS4), and once installed and signed into the account, you’ll be able to enjoy all of that smart TV excitement from the comfort of your much-loved gaming console. Dropping $300 or $400 on a new gaming system isn’t going to save you any money over the cost of a smart TV, but if you already have one, or were thinking of getting one anyway, you can save yourself the extra cost of a new television. We’re not quite done. 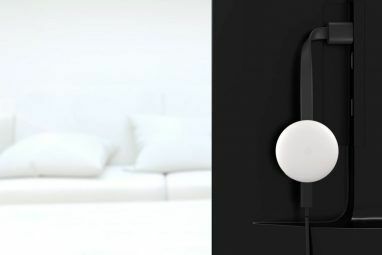 Various other devices that you might hook up to your TV offer smart functionality, too. While Android TV What Is Android TV, and Why Was Google TV Killed? What Is Android TV, and Why Was Google TV Killed? Android TV is replacing the now-five-year-old Google TV. And it's not just an update -- it's a complete remake. Read More boxes aren’t as popular as Google might hope (largely due to performance issues) they are affordable — usually in the $30–$40 range — and come with the various TV streaming and weather apps that you might want. These devices typically offer gaming, too. 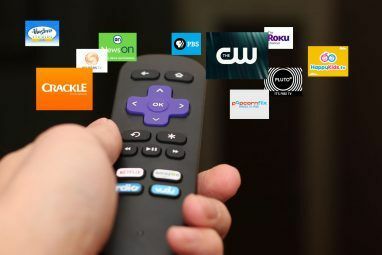 The Roku media streamer, which we reviewed a couple years back Roku Streaming Stick Review and Giveaway Roku Streaming Stick Review and Giveaway All the features of a full Roku experience, in a small form factor that plugs straight into HDMI - does the Roku Streaming Stick deliver? Read on to find out and win one for yourself. Read More , is another option that comes in stick and set-top box form, with YouTube, Amazon Instant Video, and Netflix apps, plus others, depending on your region. The base model of the stick will cost you just $50. Meanwhile, any Kodi media center How to Set Up Your XBMC Media Center How to Set Up Your XBMC Media Center XBMC may have evolved into Kodi, but if you have an old version installed this guide will help you set it up and get started. Read More connected to your TV can be configured to run popular apps alongside the usual media streaming and add-ons. 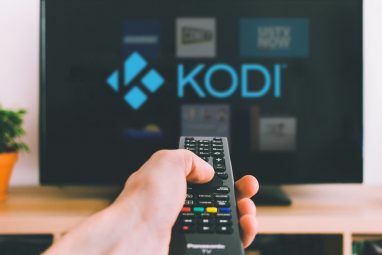 Netflix and Amazon Instant Video can aboth be set up on a Kodi device — even on a Raspberry Pi running the OSMC version of Kodi 3 Ways to Set Up Your Raspberry Pi as a Media Server 3 Ways to Set Up Your Raspberry Pi as a Media Server Which media center application should you install on your Raspberry Pi? Several options are on offer, and we're going to walk you through them now, looking at the features, advantages, and disadvantages of each. Read More ! So you don’t really need a smart TV at all. There’s a very strong chance that you own one or more of the devices listed here already, or at least find them affordable enough to invest in. Perhaps you’ve done this already to save money on a new TV, or you’re looking for a cheaper option. Tell us about it in the comments. Explore more about: Apple TV, Chromecast, Smart TV, Television.